Despite being such a common and ordinary vegetable at the grocer, celery is surrounded by a bit of of mystery and intrigue out in the vegetable garden. On one hand many backyard gardeners find it a challenge to grow and on the other hand many are unaware of the various options, forms, and shapes that it can take on. 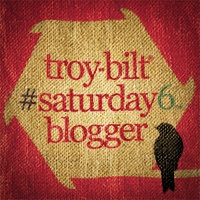 The pale green leafless stalks that you find wrapped in plastic on the grocer’s shelves are nothing at all like the plant that you’ll discover growing in the vegetable bed… that is if you can actually find a home gardener cultivating it in their backyard. To start with, commercial varieties are usually blanched by excluding light from the stalks to make them paler in color and tender. That’s a process that the home grower can skip altogether and wind up with a harvest that is more nutritious and flavorful by cultivating plants that are not blanched at all. The backyard grower will notice that celery has leaves… and lots of them! These leaves are great for soups, salads, or to be used right along with the stalks in your favorite recipes. One thing you can do with leaves that isn’t as easy with the stalks is to dry them for use during the winter months. Ever use an entire head of stalks all at once? I know I haven’t but there’s no worry over waste for the gardener because he or she can harvest them one at a time and leave the rest of the plant in the ground to continue growing without any loss of quality or nutrients. One other twist is that there are assorted varieties in hues that you probably have never seen unless you grow your own. These selections go by names such as Giant Red, Golden Self Blanching, Redventure, and Giant Pink. The colors may be faint but they are definitely not your standard varieties from the supermarket. Leaf Celery looks more like Italian parsley but take a bite and you’ll instantly identify the celery-like flavor. Instead of the thick, quarter moon shaped stalks, it produces bunches of slender, round stems with an abundance of leaves to top the plant. If you’re short on garden space this will make a nice addition to the herb garden, raised beds, or even to grow in containers. Just a couple of plants will supply the cook with lots of celery flavor to season soups and add to recipes as a substitute for the usual stalks. Leaf Celery is the easiest type to cultivate in the backyard garden and if I could only grow one of the three types described here this would be it. I prefer leaf celery because it is carefree, productive, and yields over an extremely long season from a single planting. Harvest stems from the base along the outer edges and the center of the plant will continue to grow and provide weekly harvests for the kitchen. 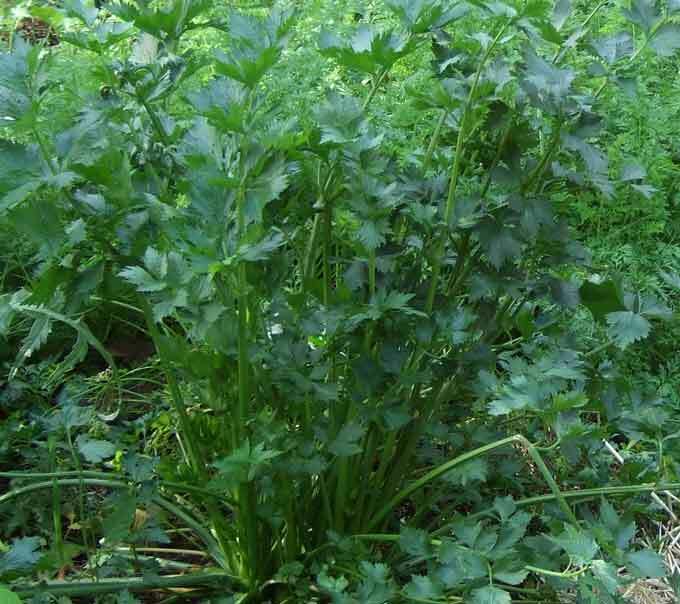 Also also referred to as Cutting, French, or Chinese Celery, varieties available for the home gardener include: French Dinant, Par-Cel, and da Taglio. Celeriac is the often ignored cousin of the celery clan, little known and rarely seen in the garden or the kitchen. More popular in Europe, it’s almost completely neglected here in the U.S. I’m as guilty as anyone but plan to change that this season and already have celeriac seeds sown and still waiting to germinate. 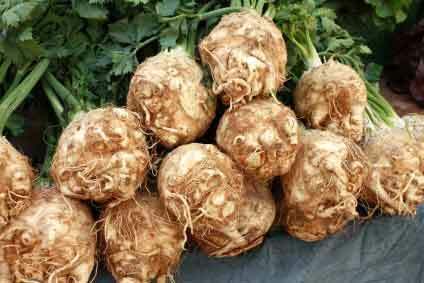 Celeriac is probably less demanding but it does require a long growing season and is very slow to mature. Start the seed early indoors, and transplant out to the garden later during spring. The cultural requirements are similar to raising celery plants. Unlike celery and leaf celery, celeriac is more like a root crop than a leafy vegetable. The main edible portion of the plant is a bulb that grows just below ground level. The strange looking root may be unfamiliar, but there’s no mistaking the distinctive celery flavor that it produces. Celeriac shines in the kitchen where it is a lot more versatile than its popular cousins. The bulbs are peeled and used in soups, mashed like potatoes, pureed, roasted, or it can simply be added to recipes as a substitute for the ordinary stalks. We’ve just scratched the surface of information related to this family of plants and there’s still much to uncover. There are similar or related plants such as wild celery and celtuce, and beneficial uses from parts of these plant’s from their seeds to their roots. 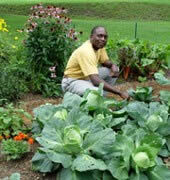 There are also many uncommon ways to prepare this vegetable, or to even explore medicinal uses for the plants. So don’t be intimidated to try a plant or two in the garden this season; whether it’s a new strain of celery with colorful stalks, the less common leaf celery, or the odd bulbs of celeriac, there are new adventures to explore with these neglected vegetables. I plan on winter sowing some celeriac this year. What an unusual looking bulb…. Can’t wait to try it though. Last year the celery was a great addition that I plan on continuing in the garden this year. I will have to beef up the supply though because we couldn’t get enough of it and used it up way before I intended. I grew celery in pots last year and brought three in to overwinter under grow lights. They have been lush and green all winter, giving lots of stalks and leaves. They are not as fat and succulent as store-bought varieties, but the flavor is stronger. I just bought some celery starts at the nursery and have transplanted them to my raised beds. I remember my brother grew it years ago and said the flavor difference was incredible. 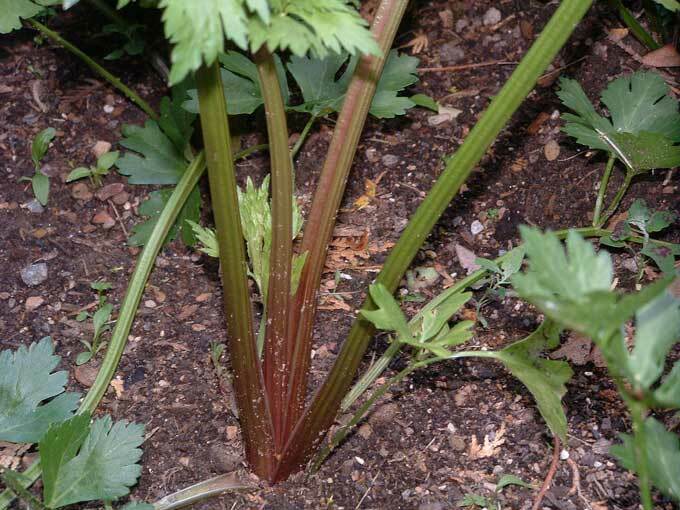 Its interesting that the Red Celery stalks almost look like Rhubarb stalks. And I agree those Celeriac bulbs are very odd looking. Of course organic eating from your own garden and not the processed things we see in the grocery stores is always the way to go for sure. Nice article…Thanks. 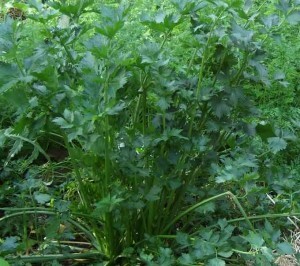 I have lots of lovage growing and enjoy the celery taste without any of the hassle. They are strong perennial growers as I have had the same plants for three years now. Love the leaves in salad. 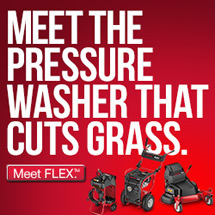 Call me a lazy gardener if you will, I do roll that way! I grew celery several times and ended up throwing it away because it was so bitter. I have since found out that if you cool it in ice water and then store it in a loose plastic bag in the refrigerator for a couple days the taste mellows considerably.